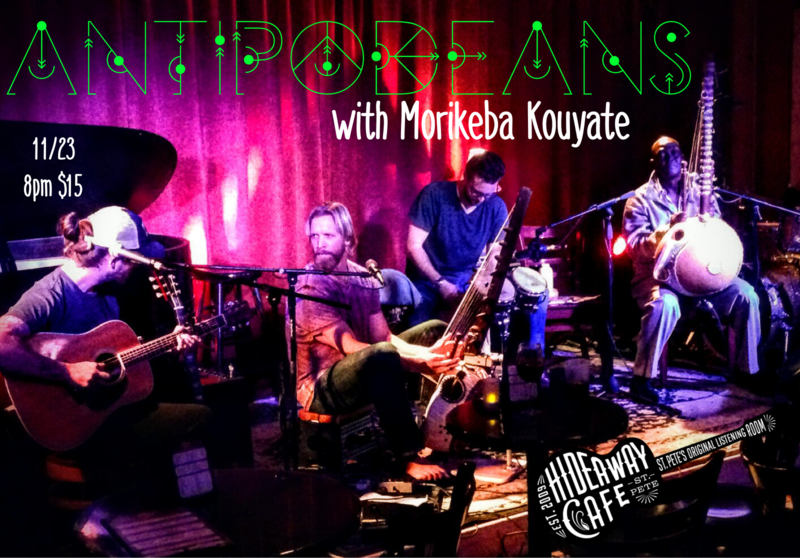 The Antipodeans are an experimental music project that mix ancient West African music with contemporary rhythms and instruments. Legendary Senegalese griot Morikeba Kouyate and local multi-instrumentalist Patrick Klemawesch play the 21-string kora, a 16th century bridge harp. John Holt III (Danfield) adds exuberant and melancholic melody on rhythm and slide guitar. Pat Hernly backs up the band with a rhythm section of diverse drums and percussion including tabla, congas, and batuque. All proceeds to benefit local FL charity Surfers for Autism.